The 3,600-year-old marble figurine of a woman found in Akrotiri. 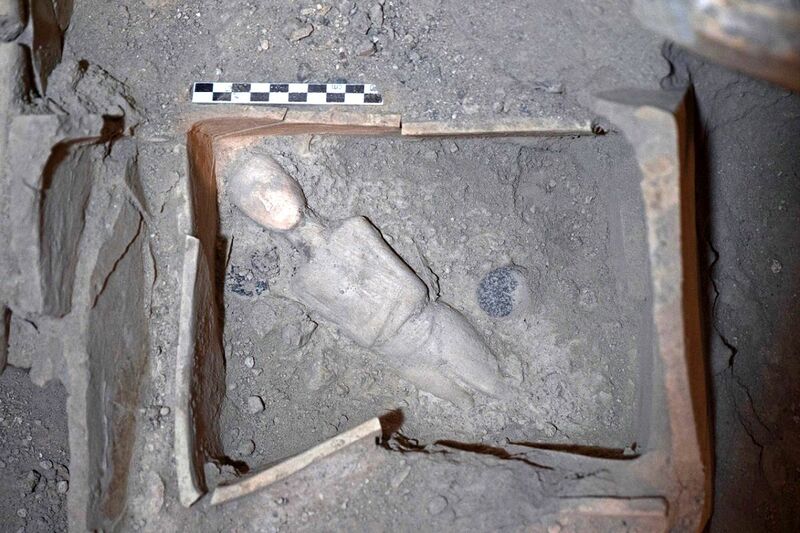 The Minoan Bronze Age site of Akrotiri on the Greek island of Santorini has produced new marble and clay finds including a 3,600-year-old marble figurine of a woman, the Greek culture ministry announced last week. 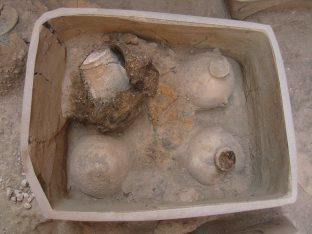 Ongoing excavations carried out in the prehistoric village by the Archaeological Society of Athens (ASA) and funded by the Kaspesky Lab have brought to light a number of artifacts including an alabaster vase, Early Cycladic marble jars and a vial. 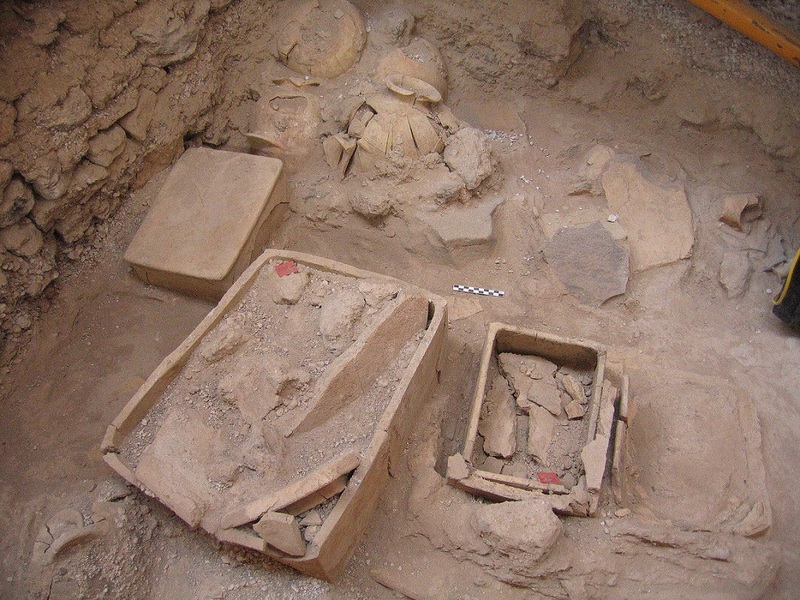 Archaeologists expect the finds to provide insight into the rites and rituals of the ancient civilization. 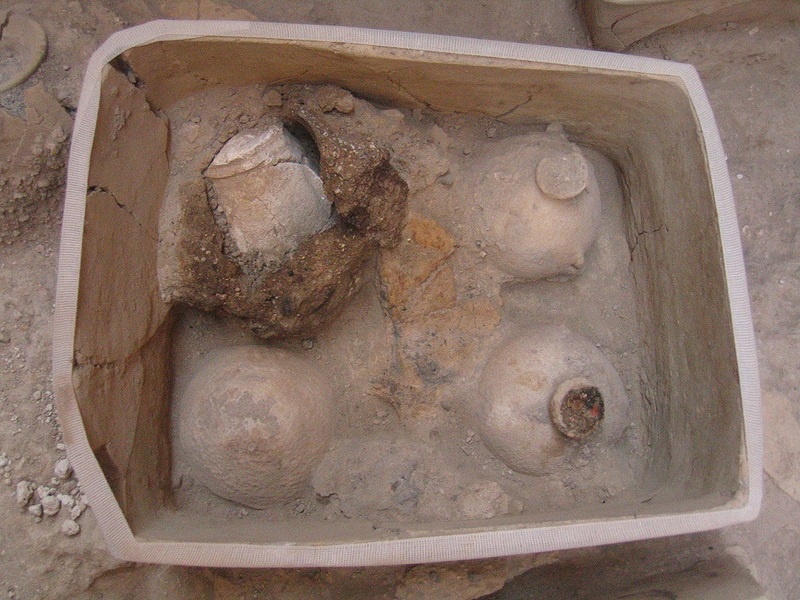 Akrotiri was destroyed in a volcanic eruption and buried in ash in 1628 BC. Also known as the “Minoan Pompeii”, the Akrotiri site has brought to the fore a collection of rare artifacts, including the Gold Ibex of Akrotiri which was found in 1999 and is on display at the Museum of Prehistoric Thera. In cooperation with the ASA, the Kaspesky Lab is working to safeguard the remains of the historic Cycladic/Minoan settlement, sponsoring a number of activities to help scientists further their work, including the restoration of the excavations, the conservation of frescoes and the project’s building conservation work. “Akrotiri is an absolutely remarkable site. It’s a treasure for the whole of humankind and there’s a threat it could disappear if it’s not preserved by archeologists. I believe it’s very important to continue exploring the site, as its excavation is likely to bring new artifacts to life,” Eugene Kaspersky, Kaspersky Lab chairman and CEO has said. 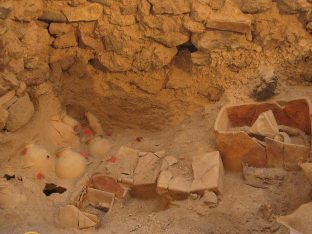 According to Professor Christos Doumas, director of the Akrotiri excavations: “We continue the work in order to get answers to the questions about the inhabitants of the island who lived here thousands of years ago.